Is it possible to foresee whether two persons are meant to fall in love with each other? Can astrology tell whether love will settle between two persons? These two questions do not belong to the same issue: to foresee whether someone may fall in love or not is possible, at least to some extent. Forecasting tools are available in astrology, even though caution must be exercised. The natal chart is some sort of photo of the individual's personality and of his/her growth potential. Indeed, a chart is never positive or negative and ignores any form of immobility, since tensions are the very elements which enable to progress and to overcome fears and insufficiencies, whereas soft aspects enable to recover and to gain strength in order to grow more rapidly. In addition, several parameters in the natal chart give valuable information about affectivity, romantic relationships, sexuality, enduring ties, whether marital or not. Our purpose is not to give a comprehensive astrology lesson here. We shall only provide a few examples. In the natal chart, parameters for romance, such as the Sun (the lasting partner) and Mars (the lover, short-lived, or less constant) for females, and the Moon (the lasting partner) and Venus (the lover or the partner, with less commitment than in the case of the Moon) for males, the 7th House (marriages, partnerships), the 5th House (uncommitted love relationships in general), the 8th house (sexuality, affective disruptions), as well as the rulers of the houses mentioned, the strength of the planets and houses involved, etc. These factors constitute the basis on which the individual evolves, day after day. As they perform their endless round dance, planets activate certain parts of your natal chart in harmonious or disharmonious ways: this is the very principle of forecasting in astrology. When some points of the chart are impacted, whatever they mean is significantly increased. So, it becomes possible to know whether, at a given period of one's life, one person is bound to fall in love or not, or at least, whether such a probability is strong or not. If this activation is negative, tensions are most likely to crop up in connection with the meaning of the symbol involved. For instance, in a female's chart, if the planet Venus is involved, it means that her feelings, as well as the way she loves and wants to please are most likely to be disrupted. She feels embarrassed and needs to change in order to solve whatever does not work fine. Once the period of tension is over, she knows which changes were needed, and she understands that the tension pointed to a break up. She may also realize that the way she, or her partner, approached the relationship was wrong, or that no break up is necessary, etc. For males, if Venus is involved, the meaning is even more direct. Indeed, since Venus symbolises feelings in general, but also the woman he loves (in a non-marital way, yet), whenever this planet is activated, it is most likely that there is a concrete problem with the person he is in love with, in the form of some kind of event that is easier to identify than in the case of psychological experiences, or inner annoyances. Thus, astrological techniques enable to forecast whether, when, and how the romantic life is bound to be active or not. The technique of astrological transits is obviously unavoidable, but it is far from being the only one. Symbolic directions (1 year = 1 degree increment), or sometimes better, but not always, Solar Arcs directions, may provide most interesting indications on the periods when the romantic life becomes very important. Anglo-Saxons often use the Progression technique (also called Secondary Progressions, whereby 1 year = natal chart + 1 ephemeris day), which also yields nice results. Primary Directions (1 year = 4 minutes) are a very helpful tool also, provided the birth time is known with high precision. Otherwise, an error of 4 minutes produces a forecast discrepancy of 1 year, which is quite dangerous. The Solar Revolution, which analyses the chart of the exact moment when the transiting Sun reaches each year his natal position, also has its numerous advocates. Experience has proved that the best thing to do is to use all these techniques together, to spot which areas are activated in the natal chart, and to pinpoint all the converging indications among all the available techniques. When at least two forecasting techniques produce converging diagnoses, they indicate that the results are much more reliable, as far as falling in love is concerned, since this is what this article is about. In actual practice, unskilled astrologers do not go this far. They only take a glance at the transits of slow-moving planets and their influence on the angles, on personal planets, and on the rulers of sensitive houses. Sometimes, they also quickly look at Symbolic Directions, and that's it. Within a couple of minutes, it is possible to learn a lot. However, it is most likely that they miss a lot also, for if forecasting were this simple, everyone would know it. Therefore, caution is a must. Every forecast must be taken as a probability, nothing more, as there is no such thing as fate in astrology. Getting back to actual experience, it is thus possible to discover if there is a chance to fall in love during a given period. It is the case whenever the techniques described above have identified important tensions or soft aspects affecting the natal symbols which are in analogy with romance. In the case of tensions, love is most likely to lead to sufferings or ill-being, whereas soft and harmonious aspects herald a period when matters of the heart become essential, and when events related to romance are very likely to unfold smoothly, in a climate of well-being and shared love. However, it must be emphasised that a subtle approach is required. Things are never this simplistic, because no prediction can be accomplished beyond the limits of the natal chart, even though, as explained in our article on astrology and personality, the individual's evolution is inscribed in the natal chart. In other words, it is true that some charts are more " difficult " than some others regarding marriage for instance, or only romantic relationships. Some charts may indicate conflicts with the partner, whether lover or spouse. When such charts are activated by transits, directions, progressions, or revolutions, they are very unlikely to bring about perfect harmony, even though the aspects involved are totally beneficial! As an analogical example, let's suppose that a fictitious natal chart has a very difficult 2nd House, with very hard aspects between one or several personal planets and heavy planets such as Mars, Pluto, or Saturn. Very nice transits impacting symbols representing the 2nd House are most unlikely to change the individual's life: the hard way one earns one's living (main meaning of the 2nd House) is not going to change with a wave of a magic wand, owing to such or such transits, progressions, or directions. During these transits, improvement may be expected, but certainly no...revolution. The other question of this article is to find out whether there will be love or not, with a given person. The answer is much more cut-and-dried here, as surprising as it may seem to many astrologers, even the most experienced ones. The answer is "No". And it is probably fortunate that it is so. Actually, a perfect couple's compatibility, if any such thing exists, does absolutely not mean that the two partners fall in love with each other, or that one of them falls in love. Love, the love feeling, has nothing to do with charts comparison. Charts comparison, a fascinating and very useful work, indicates the level of understanding between the partners, how easily they are likely to live their love, but in no case... whether their feelings are made of love or not! As underlined in the first part of this article, to be in love is possible only if, during a given time, symbols linked to love develop a resonance with the natal chart. This is valid for each and every one of us. Thus, bearing this principle in mind, let's imagine two persons who meet each other, and who have a perfect synastry (comparison of two natal charts), with compatibility ratings of 15 or 20 out of 20. In any case, if there is no triggering factor, there is no reason why love should spark off. Indeed, timing is necessary, and without this timing, nothing occurs. Then, all sorts of situations become possible: one of the partners is ready and experiences the trigger, whereas the other partner does not. It is a little disaster for the one who is in love. This is what often happens for numerous couples. Time discrepancy. Synchronisation is part of the couple's elements of maturity, as it is for each of us. Without maturity, there is no possibility of synchronisation, a process that may take several years, depending on one's personal history, vagaries of encounters, and the partner's individual logistics, etc. Both partners may miss out on the happiness of being together, just because this synchronisation was not well managed, or because there was a lack of mutual understanding endeavour. However, even though the triggering effect is working for both partners at the same time, as you rightly guessed, it is not enough. It is not because both natal charts are highly compatible that one may declare: "Yes, the two of you, over there, you are going to fall in love with each other." It cannot be, under no circumstances. Why? Firstly, because astrology cannot "see" these things. The nature of human beings, which is spiritual, far above all emotional, intellectual, sentimental, sexual, and physical characteristics, can never be read in an astrological chart. As the old saying goes, the wise man transcends his chart. Therefore, the astrological analysis of Jesus Christ, Maharsi, Buddha, Master Eckhart, Nisagardatta Maharaj, Bô Yin Râ, or any other spiritual master, would only provide a terrestrial visibility of them, a description of their superficial persona, and not their true self. Similarly, it is totally impossible to detect love between two persons with astrology. The natal chart, along with all the astrological techniques, cannot tell whether love will strike or not. But it is able to tell the rest: the personality, inner conflicts, gifts, the type of love life, the fact that two persons find it easy or not to live their love throughout time, the periods when one is very likely to fall in love, or to experience a testing love life. All this can be can be seen, while remaining most careful, of course. Therefore, it would be silly to dismiss astrology under the pretext that, in spite of all the sophisticated techniques available, love cannot be predicted. The simple question that should be put forward to the astrologer is the following one: if two persons are already in love, is there a chance that the relationship is successful? If it is, what are the weaknesses or assets prevailing in the couple, when are the pleasant or sensitive periods, is there a lack of synchronisation in the partner's mutual feelings at some stages of life, are there remedies at all, etc. 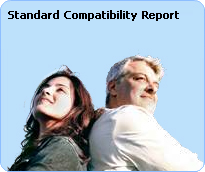 Having said this, once the couple is formed, the Couple's Compatibility Report is very interesting. It enables to dive into the existing relationship in order to identify its vulnerable points, and thus, to think over the way to solve them. If both partners are mature enough, it is very likely that they become able, in a few years, to iron out disrupting factors in most cases. Sometimes, the problem is caused by one of the partners' personal and inner vulnerability, which is indicated in the natal chart. In some other cases, the problem is caused by the relationship itself. There are very numerous and different cases. Which techniques can indicate whether a couple is likely to be successful or not? The technique which gives the best results is that which superimposes the partner's natal charts and analyses the aspects between the two charts: mutual aspects between specific points of the charts, planets, angles, rulers, houses shared in common, etc. This technique is sound. On Astrotheme website, we provide numerous pieces of advice: in Advice on Synastry and couple's compatibility, as well as in the FAQ page. We also offer very powerful free applications available for you, such as the famous Celestar: your compatibility with about 50,000 celebrities. This is not the only technique. Let's not forget that a chart is not static. The analysis of the natal chart does not only describe one's necessary evolution (overcoming one's squares and oppositions, in brief), but in addition, with the progression and direction techniques, it is possible to shed a more specific light. For instance, sometimes the man's progressed Sun on his partner's natal Moon indicates that the relationship will increase in intensity during a few years. Or even better: it may trigger harmony within the couple for the whole life. The overlapping of a natal chart with the partner's directions chart (primary, secondary, symbolic, solar arcs) may yield valuable information, in addition to the synastry analysis, which consists in overlapping the two natal charts and looking for interactions existing between them. There are two other techniques, which are less popular, or give unsatisfactory results... if at all, at least in our opinion. They are the composite chart and the mid-space mid-time chart. 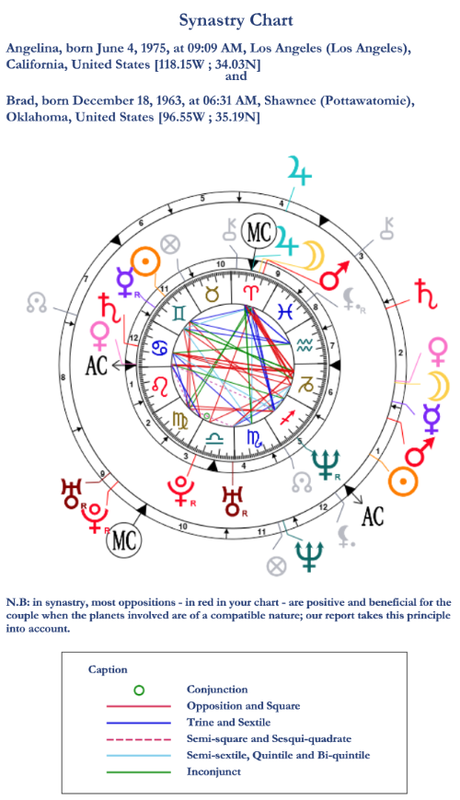 The composite chart consists in making a new chart out of the partner's natal chart. It is supposed to be the couple's chart. Each element is given by the mid-point of the corresponding element of the natal charts. For instance, if the first partner has the Sun at 10° Sagittarius, and the other partner's Sun is at 10° Aries, in the composite chart, the Sun is in between, i.e. at 10° Aquarius. The same rule applies to the angles, the houses, and all the planets. This is how a new chart is obtained, which symbolises the couple's entity, and not a person any more. Rules which are specific to this technique are supposed to describe the couple's compatibility. In theory, the concept is intellectually pleasant and attractive, but in practice, this technique is not very commonly used because it does not work too well. The only reason why it exists is probably because it is easy to calculate. The mid-point can be instantly found, even without a calculator. 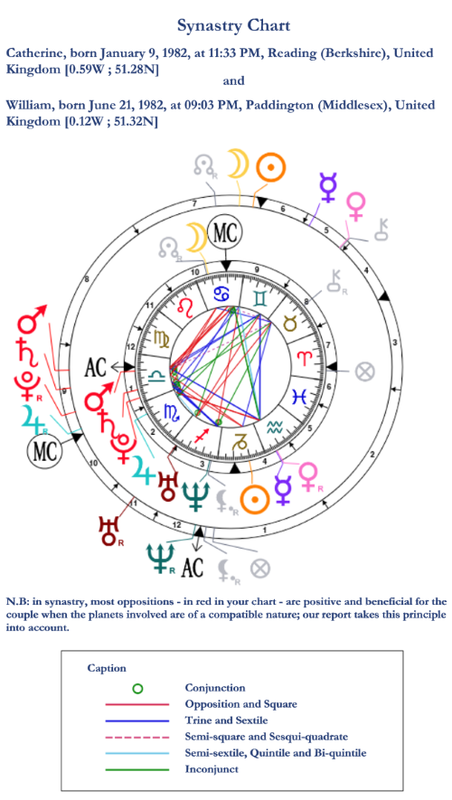 Then, the interpretation is more or less similar to that of a natal chart. Saturn in the 5th House, and dissonant, brings about nothing good, whereas a dissonance of the Moon or the Sun, or the 7th house, heralds annoyances, etc. The mid-space mid-time chart is the other slightly more sophisticated technique. It has more or less the same principle as the composite chart, except that, instead of mid-points of natal factors, each partner's birth date and birth place are considered, and their average is computed. For instance, if the first partner is born on 1st January 1970, and the other one, on 1st January 1980, the resulting birth date is 1st January 1975. The same process is applied to the times of birth, to latitudes and longitudes, and to time zones. 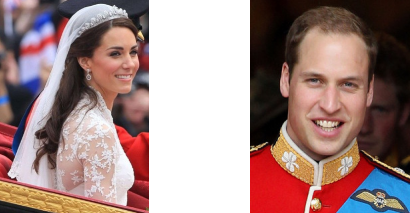 Thus, a unique chart is created, which is also supposed to represent the couple itself. This technique, like the composite chart, gives little or no result, as original and attractive as the concept may be. To conclude, although on the one hand, it is impossible to tell whether two persons will fall in love with each other, on the other hand, it is more than reasonable to deem the probability of a meaningful encounter, and, if the two partners are already together, it is possible to find out whether the relationship is bound to be experienced harmoniously, and what areas need to be "worked on", so that love, like a fire, does not fade away because of the storms caused by tensions, but on the contrary, it grows stronger as time goes by. The synastry analysis is an excellent way to gain a lot of time as you endeavour to get to thoroughly know your couple and understand how to be successful in your relationship. The synastry analysis is available on Astrotheme in the Couple's Report, or included with any order of two Portraits, which is in our opinion, the most comprehensive and performing of all the reports available on the Internet or computer-generated forecasts.